Shipping & Returns : Batucadastore, by My-Store. Jewels on the skin! The delivery costs for deliveries within the Netherlands are E. 4,95. For shipping to Belgium, Germany, France, Luxemburg, Italia, Spain the costs will be E. 8,70. For shipping to the rest of the world the costs will be E. 25,00. 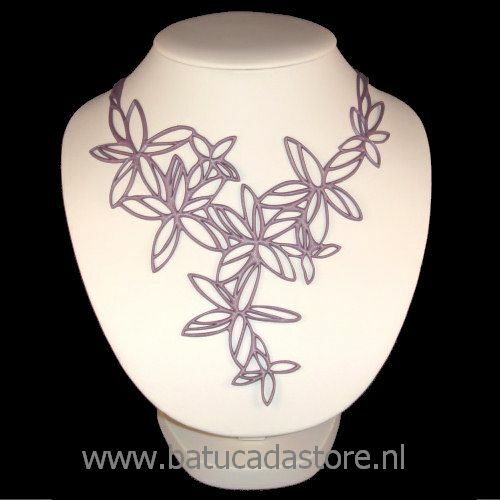 No shipping costs by an order of 35 euro and more in the Netherlands. No shipping costs by an order of 150 euro and more to the rest of the world. We are able to keep this price as low as possible because we've selected a standard delivery. The delivery time is approximately 2 business days. Your order will be posted within 2 business days, unless the item is not in stock. In case of advanced payment, your order will be sent after we have received the payment. When a product is not in stock, the delivery time is approximately 7 to 8 business days. We will keep you updated as much as possible about the status of your purchase and we will do our utmost best to process the purchase as quickly and accurately as possible. You are able to check the status of your order at any point in the day in your account on this website. You will also be notified of the status of your order by e-mail. You can always post any questions about your order by filling in a contact form. Please remember to state your order number. With iDEAL you can make a safe and easy online purchase. Your internet payment is processed based on the specific security measures of your bank and can be made from a secure location. If you have internet banking, you can make use of iDEAL without needing to gain specific access first. In the payment stage of the order you can select iDEAL as your preferred method of payment. This is also where you select your bank. After a summary of your order you can confirm the purchase and you will be re-routed to your own bank where the payment specifications are laid out for you. Your bank will ask you to fill in some details, thereby authorizing the payment. The amount will be deducted from your bank account directly and we will be notified upon receiving the payment. By choosing to transfer the money, you can pay for the order via your bank by referencing your order number. The data for the transfer will be shown after selecting the payment method. Transferring can be done through an official transferform or through internet banking. Your order will be sent directly after we've recevied the payment. Our quality standards are high and orders are thoroughly checked before they are posted. When an item does not, however, match the expectation that is usually associated with it then the warranty conditions of the manufacturer will be implemented. Trading an item is permitted within 7 days after delivery of the goods. Items should be returned in their original condition and packaging. Returning items is always at the customers own cost, unless a mistake has been made from our side. When you return your order any delivery costs and potential reimbursement costs will be charged to the customer, unless a mistake has been made from our side. In case we do not have the desired items, the money will be transferred back to your account. Unstamped packages will not be accepted. If you are sending us an item for which you have complaints, please send back stamped accordingly. After determining the faults of the item, we will send you a new product. Please indicate clearly the reason for returning the product. A used product does not under any circumstances fall under the warranty conditions and can not be traded due to hygiene issues.